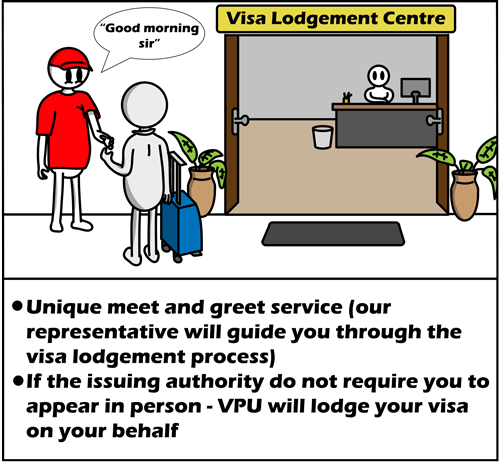 Please ensure you enter the correct information – VPU cannot be held responsible for incorrect information entered. Should you require further clarity of confirmation please contact our consultants on 011 452-4646. 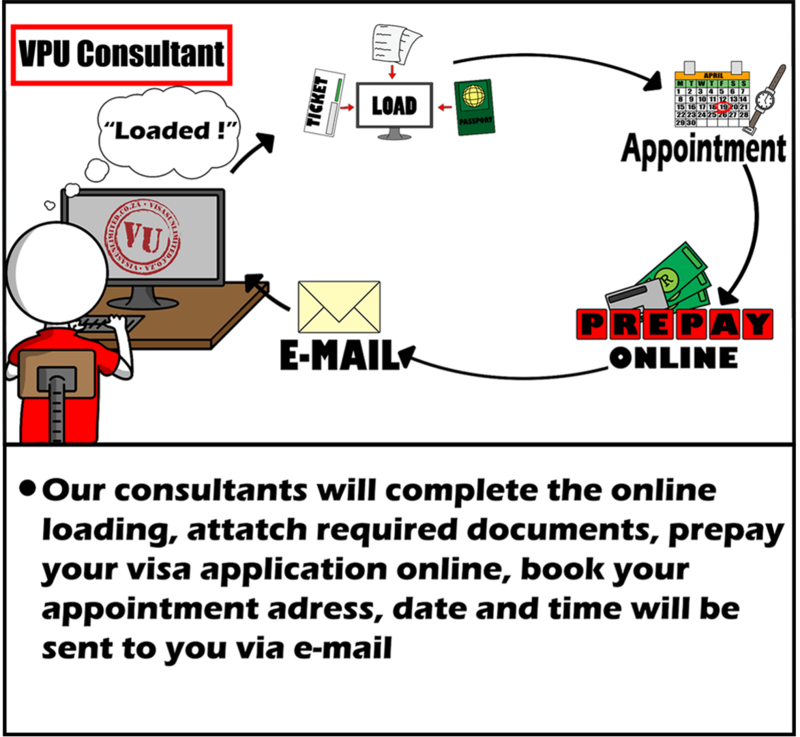 Visas & Passports Unlimited (VPU) offers a professional, hassle-free, door to door travel visa facilitation process. 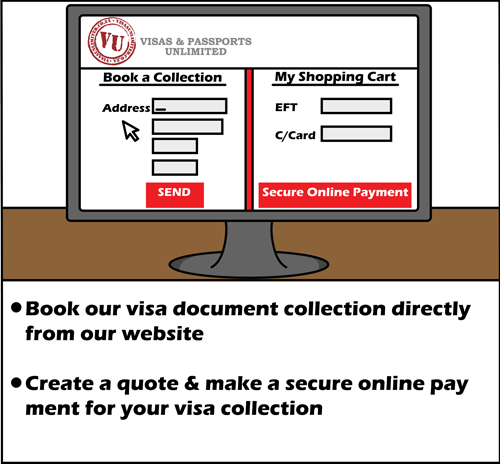 Leisure and corporate travellers, travelling internationally, can utilize our services to “make visas stress free & easy”. 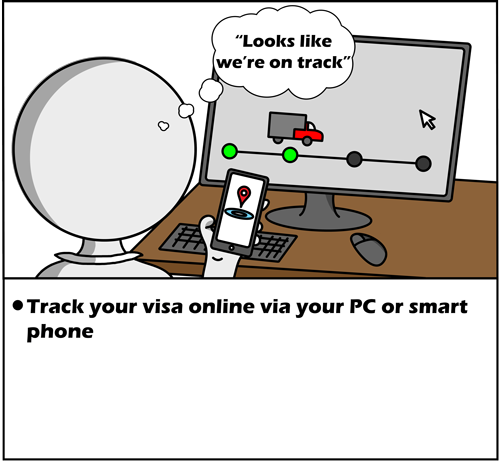 Our progressive interactive software allows travellers to obtain updated TRAVEL VISA information (including VISA FORMS, VISA DOCUMENT CHECKLISTS), request a visa collection, track their visa application progress, obtain quotes and make safe and secure payments online 24 hours a day. 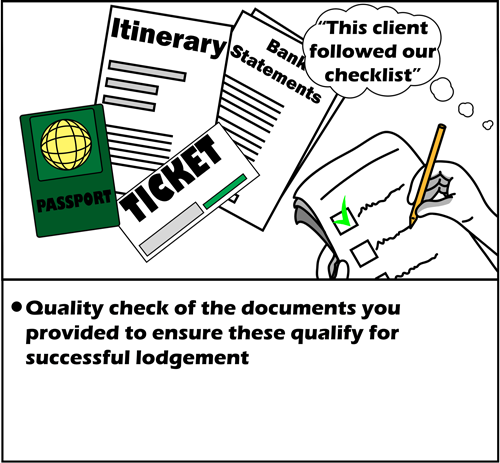 By focusing on enhancing customer experience through personal and convenient service, our Consultants are available to provide travellers with professional advice and guide them through the visa process step by step. "OUR CAPABILITY FOR YOUR CONVENIENCE"
I have received my Visa and all is in order. Thank you both for the EXCELLENT service, I will definitely use your services again and recommend your company. Thanks to all of you that jumped around and begged to get my visa application in at such short notice. Everything went smooth at the embassy! Thanks for all the phone messages to follow up,unfortunately the phone had to be switched off once you enter the visa application offices. Thank you sooo much for your assistance, patience and professionalism. Its been great working with you and I really apologise for the pressure I put you through. After so many rejections and you managed to eventually triumph for me. Thank you very very much for all your troubles and assistance. I cant thank you enough, as you know I was really at the past panic stage, we normally fly close to the wind but this one was a bit too close!! Thanks so much for all your help and thanks Jenny for putting up with all my phone calls. 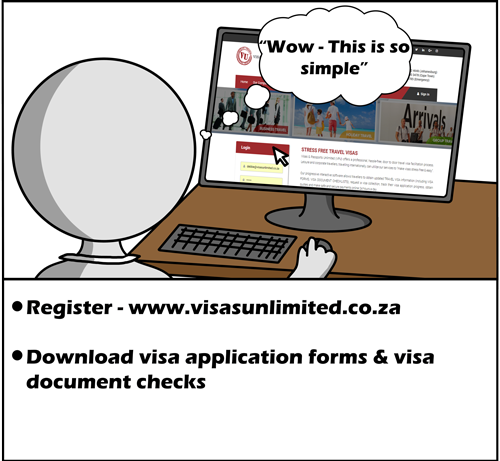 Visas & Passports Unlimited facilitate a resourceful and hassle-free visa application process to both individual and corporate travelers.